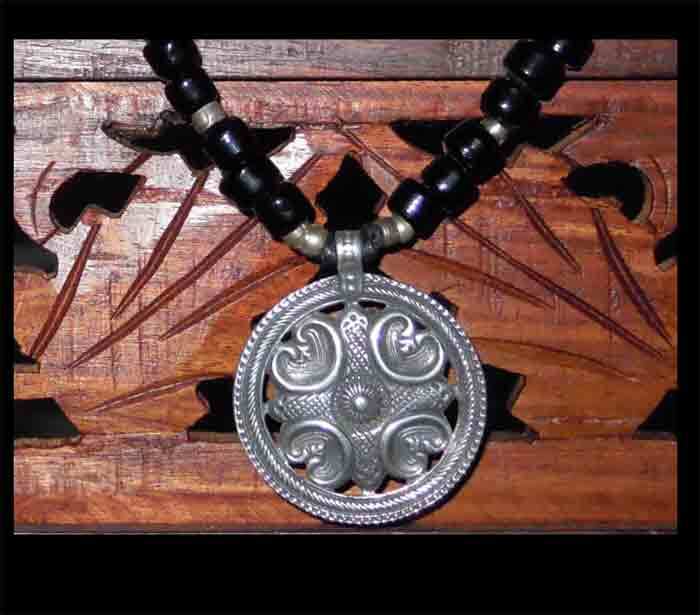 Bold and Beautiful, in Tribal signature colors: black and pewter. 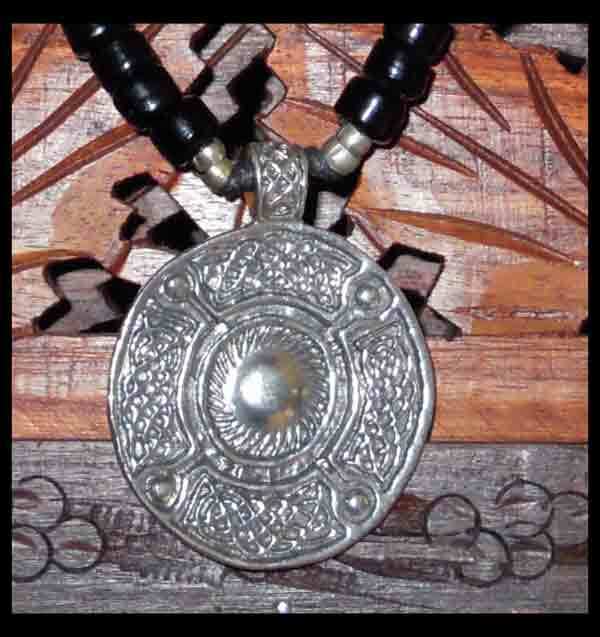 Guaranteed to compliment your Tribal Jewelry, Coin Bra, and Basic Black Costuming. 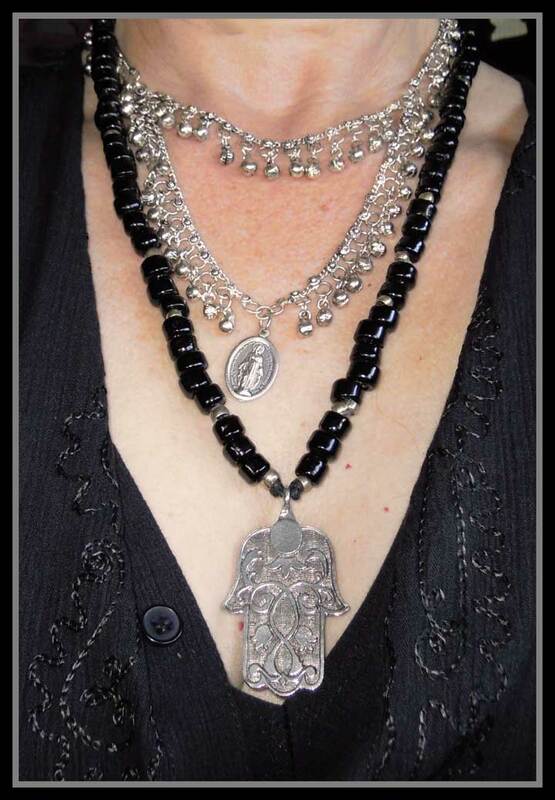 Hand crafted by Gwen, Onyx Glass and village crafted pewter beads from India. 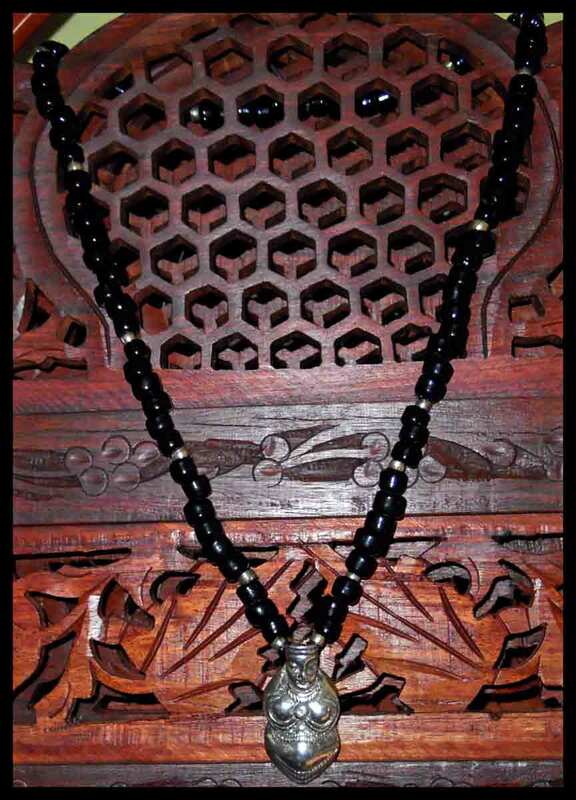 chose 24" necklace (shown) or 28" necklace. 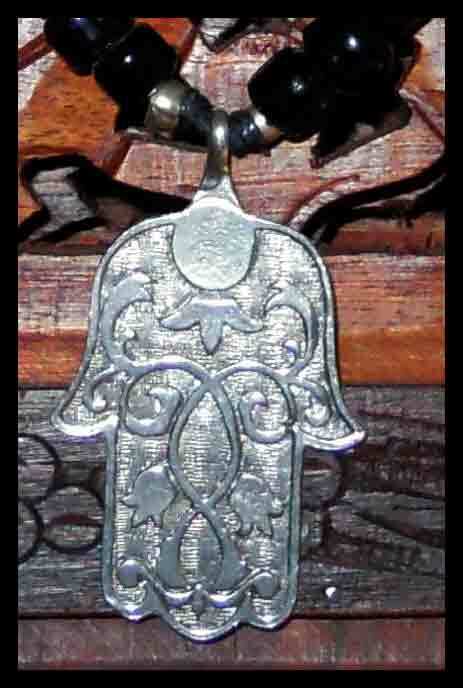 Choice of Pendants: Norse Shield, Freya Medallion, Inanna, Hand of Fatima. Handcrafted after I receive your order.